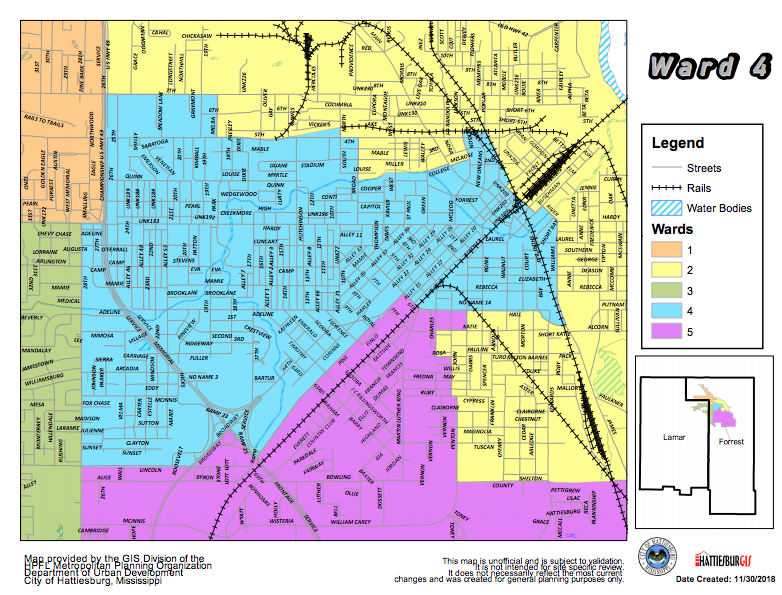 Mary Currie Dryden, a fourth-generation native of Hattiesburg, is in her second term as the City Council representative of Ward 4, which includes central Hattiesburg and most of the historic district of the city. She also serves as vice president of the Council. 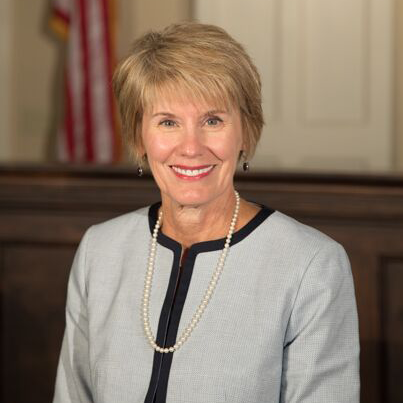 Councilwoman Dryden holds a bachelor of science degree in elementary education and a master of science degree in counseling psychology from The University of Southern Mississippi and received special certification in gifted education from William Carey University. A former teacher, she entered private practice in 2000 as a licensed professional counselor and licensed marriage and family therapist. She has served in multiple leadership positions at Parkway Heights United Methodist Church, as a volunteer for a number of civic organizations and is a member of the South MS Art Association and Phi Mu Alumni Association. She and her husband, Steve, are members of Parkway Heights United Methodist Church, lifetime members of the USM Alumni Association and the Historic Hattiesburg Downtown Association, the Oaks Neighborhood Association and numerous other civic and cultural organizations. They have two children, Jamie Dryden (Jennifer) and Dr. Christy Dryden Head (Joseph Tatum), and four grandchildren, Sara Foster, Jack, Britton and Cora.